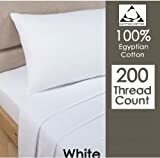 SIZE AND QUANTITY: standard pillowcases measure 50cm by 75cm, Pack of 2. 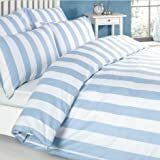 MATERIAL:100% polyster material are extremely soft and breathable which will become a great barrier protecting you from the dust mite and bed bug, so you can be sure to get a cosy night's sleep. 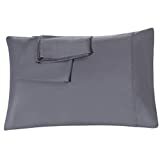 DIFFERENCE: there is a hidden zipper on the side of the pillowcase providing a full enclosure?and easy for you to take Pillow interior outside or inside of the pillowcase.DIFFERENCE: there is a zipper on the side of the pillowcase,easy for you to take Pillow interior outside or inside the pillowcase. 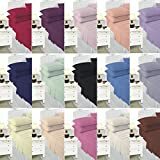 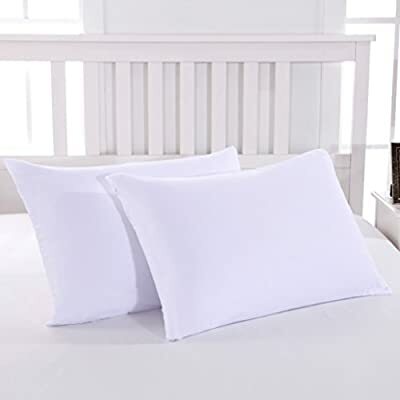 GOOD QUALITY:double stitched tailoring ensures that all edges are sewn securely to increase the durability and longevity of pillowcases.. EASY CARE: polyster material are non-wrinkle and shrink resistance, machine washable at 30 degrees ,tumble dry on low.